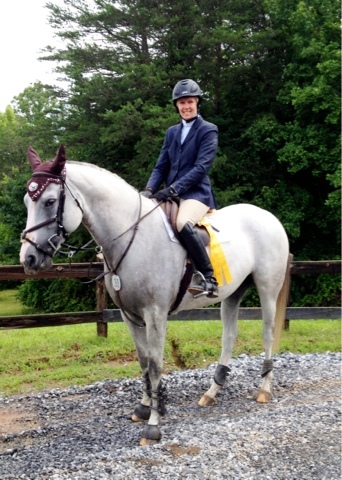 I've been busy getting Poppy ready for a show in Tryon, NC (about a 7 hour trek for us). We had a great last jump school on Saturday and I felt she would just need some flatting Mon and Tues before we left Wed. But the rains came. Not only did I not get to ride but she hardly got any turn out it was so bad. So off I went really early Wed morning. The ride up was a bit hellacious. We sat in an hour of traffic leaving FL then just into SC I blew a trailer tire. Then after that one was changed, I blew another. So 4 brand new trailer tires and a couple hours later, we were back on the road. We didn't get into the show grounds until after 7pm and it was monsooning so another day of not riding. UHG. But more importantly, we arrived safe and the horses shipped well. Thursday was more rain so I opted to not show and just work Poppy. I rode in the morning in the rain and holy cow was she wild. She did work down but she was so full of herself when we tried doing a jump with poles she kept landing from the jump on the OTHER side of the 9 foot landing pole. Finally fixed that but she earned herself another afternoon hack to get that energy out. And our second ride was in more rain and awful soupy ring conditions. Friday brought some relief and we started in the 1m. 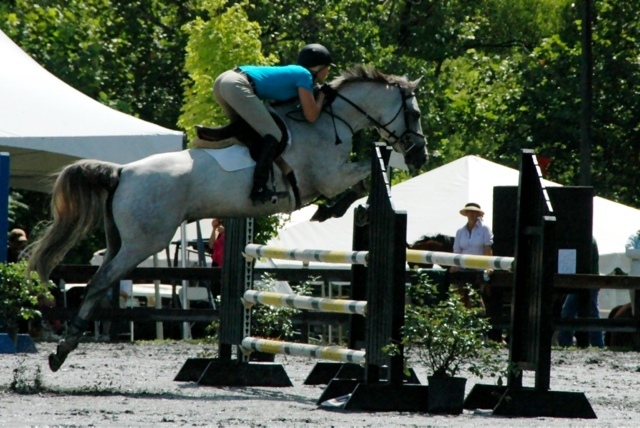 She was a brat so we also did the 1.10m and she was perfect. Double clear and 4th in a big class. Saturday she was great but my head wasn't in the game. I had some things going on and was just not with it so I forgot fence #7. Oops! Sunday was the Classic (1.10m). We drew 5th in order of go. We were double clear and 3rd in a class of 18. Poppy was amazing and I am so proud of her. This was her first out of state show and first time traveling so far. Now I am amped to work toward moving up to the 1.20m. Right now my next show isn't until Aug 23. Wish I could do something sooner. My trainer is going back up to NC in 2 weeks for 2 weeks but I just can't pull that off. I've got to work to pay for this obsession. And also had to make S.O. happy and vacation right after I got back so time to return to work this week. Boo. This week will also focus on getting my other horses going again after a hiatus. Feeling a bit guilty for that.